Sparkling gold in color, Monnet VS exudes aromas of fresh flowers and delicate spices with a soft touch of vanilla. On the palate, it reveals freshness and finesse, followed by a long, warm finish. "Like the salamander, the eaux-de-vie of Monnet VS have mastered the flames of the pot still, acquiring wondrous qualities and exceptional character". Young, bright, exuberent and truly versatile, enjoy this VS in a variety of ways - neat, on the rocks, with a touch of water, with a mixer, or even in your favorite cocktail. 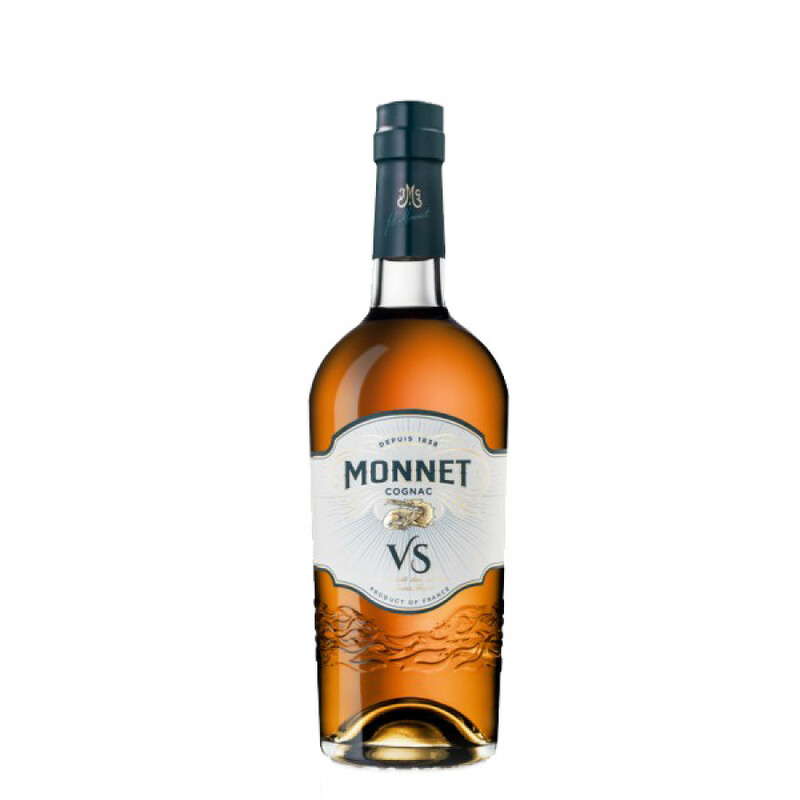 Guests who have only tasted RM, Henessey, or Courvasier, have expressed delight and more satisfaction with Monnet.